So, you think you know all there is to know about Jameson Irish Whiskey? Think again, Piggies! Then go forth and book your tickets today for the next Whiskey Social event at The Dark Horse, co-curated by the commanders at the helm of the aptly-named Independent Spirit of Bath and hosted by a Very Special Guest. 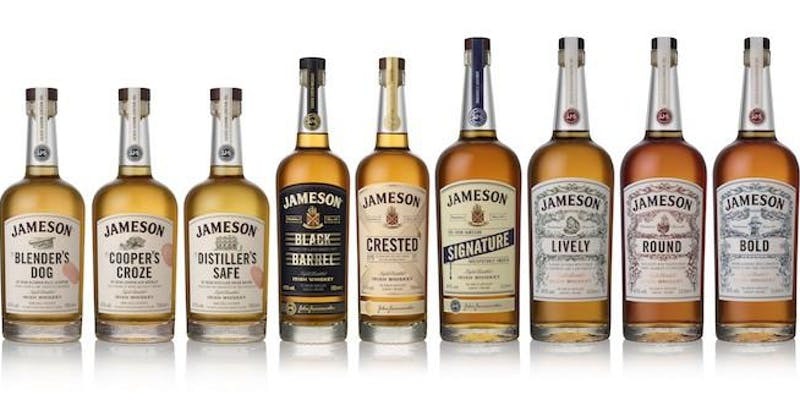 On Wednesday 5 December, the inimitable Ronan Collins – Brand Ambassador for Jameson Irish Whiskey – will take up residence at the Dark Horse for one night only, introducing us to some rare, single-cask offerings alongside the core Jameson range, resulting in an in-depth masterclass in a relaxed, characterful, informal environment. The £25pp ticket price includes a cocktail on arrival, a guided whiskey tasting and cheese to nibble on while we sup. When the ‘official’ session ends, the Blackbird Bar will serve discounted cocktails accompanied by cool toons to keep the party swinging. The fun starts at 7pm (don’t make your complimentary cocktail wait! ), the masterclass begins at 7.30pm sharp, and the discounted drinks menu (including £5 cocktails) keeps the party going from 9pm. But be warned: tickets for the masterclass are strictly limited to a maximum of 16 spaces, so early booking is essential – click on this link to make sure you don’t miss out. Sláinte!